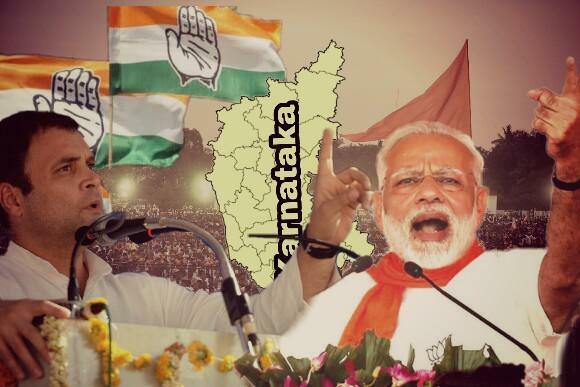 A week before Karnataka assembly elections, the political battle intensified and political attacks by a party on another party went to another level with parties looking down on each other in every rally they address. 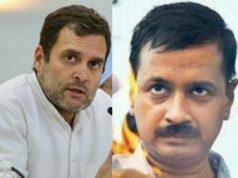 Attacking BJP over the rising number of crimes against women, Rahul said, “Earlier, the government’s slogan was ‘Beti Bachao, Beti Padhao’. Now it is ‘Beti Bachao BJP MLAs se'"
Upcoming Assembly elections in Karnataka are scheduled to be held on 12th May, 2018 in all 224 constituencies of, whereas the counting of votes and announcement will take place on 15th May, 2018. 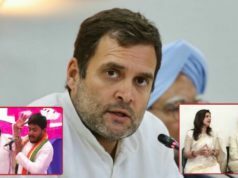 As election days are nearing, political environment in Karnataka has started to heat up, with parties taking digs at each other and trying to malign each other. BS Yeddyurappa, Chief Minister Candidate from BJP in his party’s manifesto promised to reintroduce the Karnataka Prevention of Cow Slaughter and Prevention Bill 2012. Many such promises have been and are being made by the two top competitors i.e Bhartiya Janta Party and Indian National Congress in Karnataka. While, the bedrock of BJP’s manifesto is formed by heavy emphasis on agriculture and farm loans, cow slaughter ban and issues like temples and women empowerment, Manifesto of Congress is more about solving the deep rooted problems. Congress Chief said, “Five years ago, the government of Karnataka promised you something and we delivered on it. What we say in our manifesto is going to be done. From our last manifesto, 95% of the work has been done,” Siddaramaiah, the current Chief Minister and also CM candidate of Congress, said that elections are a battle between ideologies of political parties. Talking about the manifesto of BJP, Rahul Gandhi tweeted, “New book review! The BJP Karnataka Manifesto, inspired by Narendra Modi, is a poorly crafted fantasy built around a weak plot that has nothing unique to offer voters. 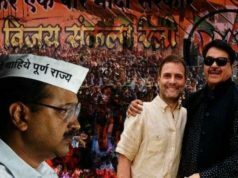 If you’ve read the congress manifesto, don’t waste your time on this one. 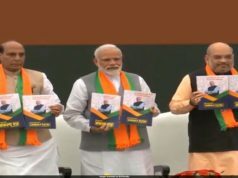 The BJP Karnataka Manifesto, inspired by Narendra Modi, is a poorly crafted fantasy built around a weak plot, that has nothing unique to offer voters. 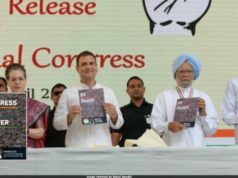 If you’ve read the Congress Manifesto, don’t waste your time on this one. Our approach for the preparation of manifesto has been a holistic one. We have tried to address concerns and aspirations of people from all sections of the society! 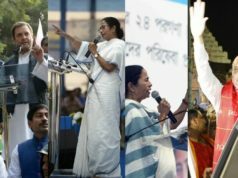 We can make out from the upsurge of attacks by party members of both the parties in Karnataka that the series of these non-stop digs and attacks will come to an end only on the completion of elections.